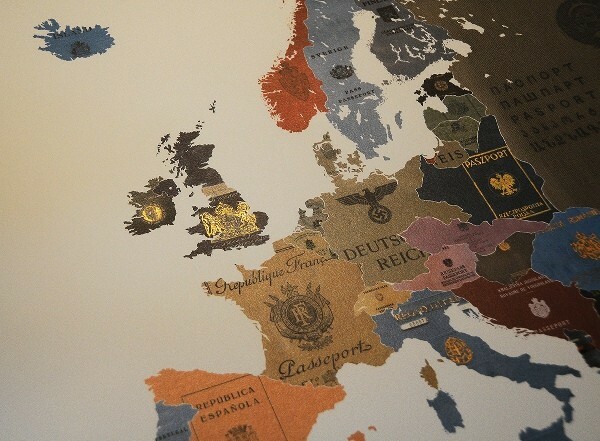 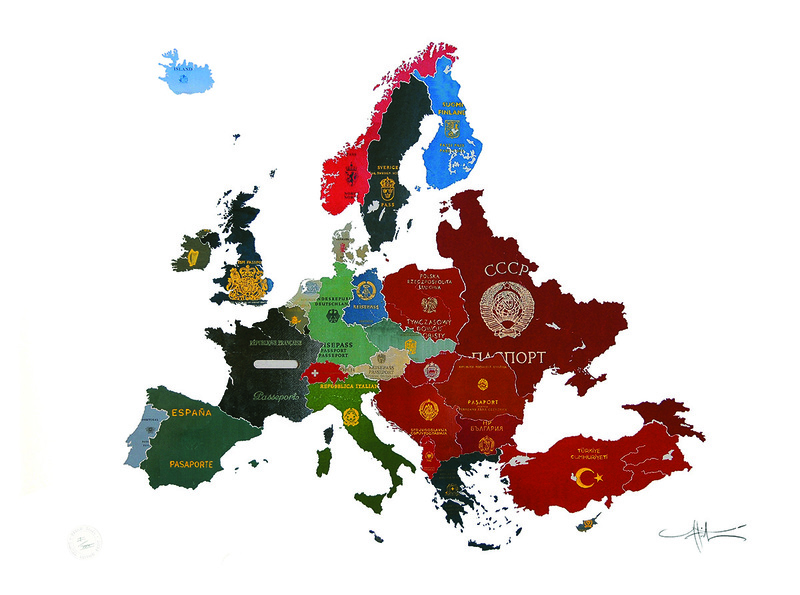 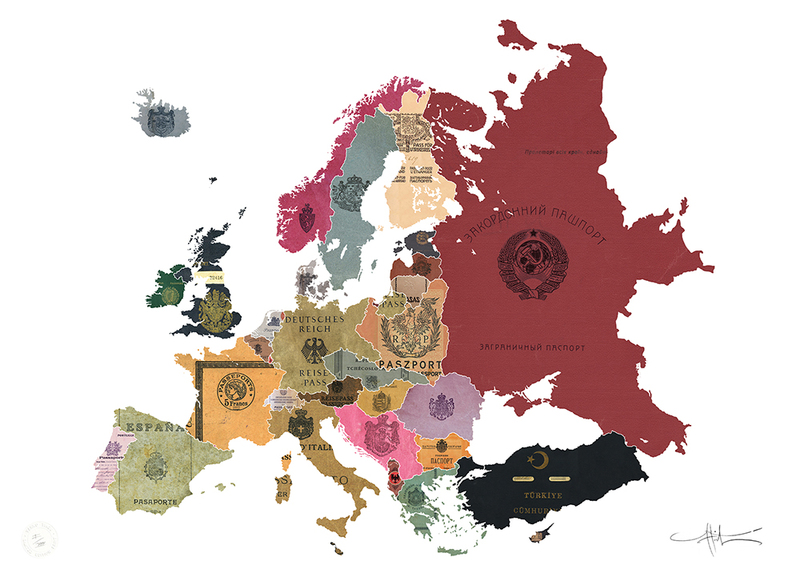 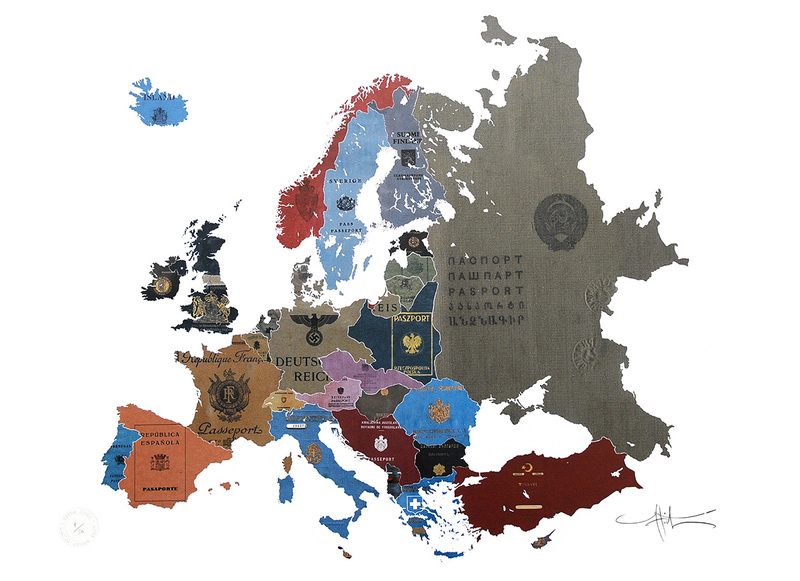 The European Series: After completing his first piece of Contemporary Europe, Tihov decided to match the same geographical area using bounderies from old, historic maps and original passport covers from the 1920s, 1930s and 1960s - Cold War period. 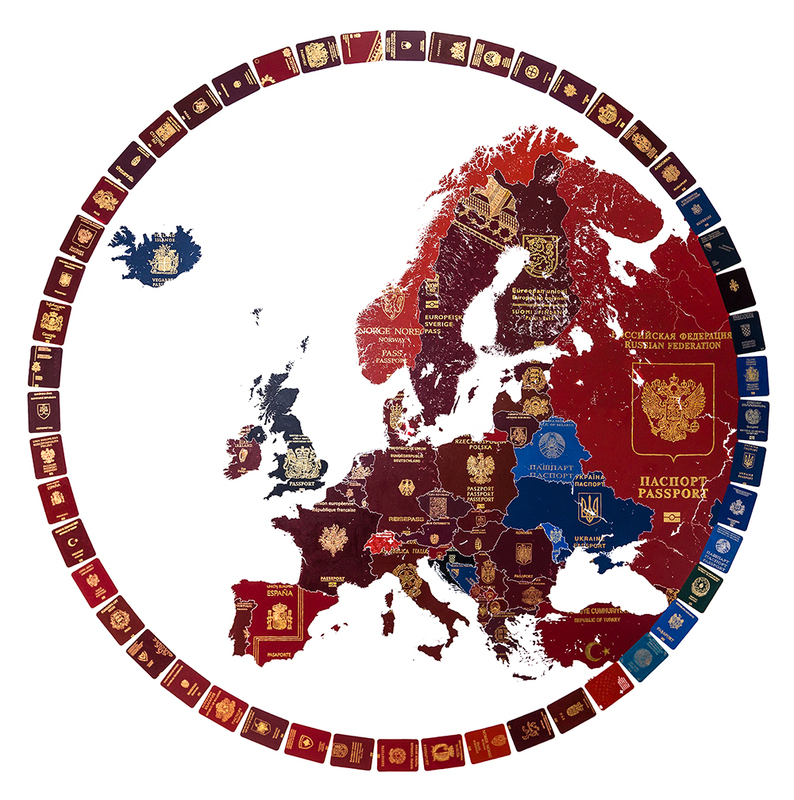 Tihov has hand-painted the texts, seals and coats of arms which adorn the covers with real 24 carat gold, successfully capturing their individual details. 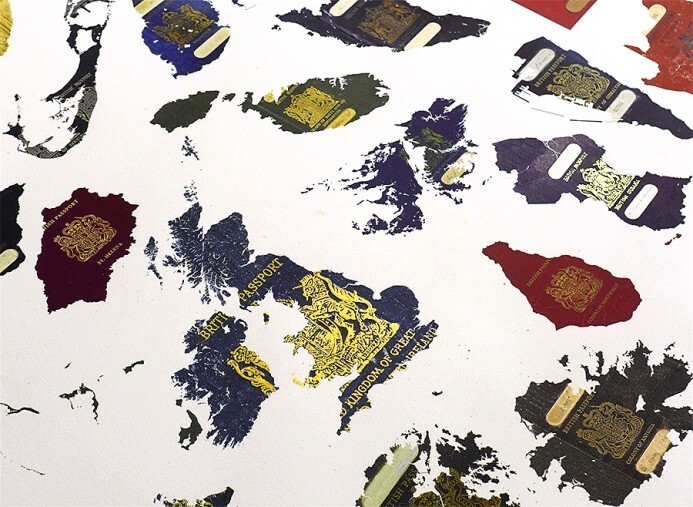 The paint adds a unique layer to each work which beautifully reflects the light and enlivens the surface. 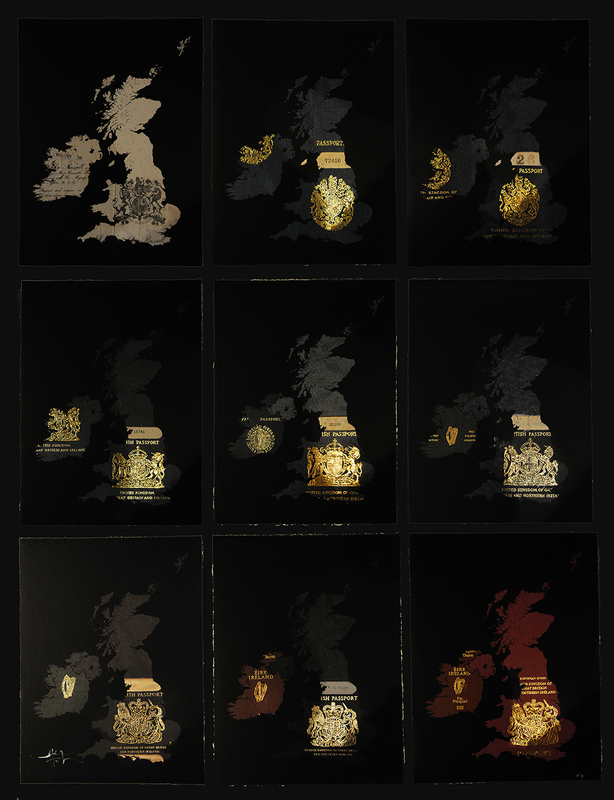 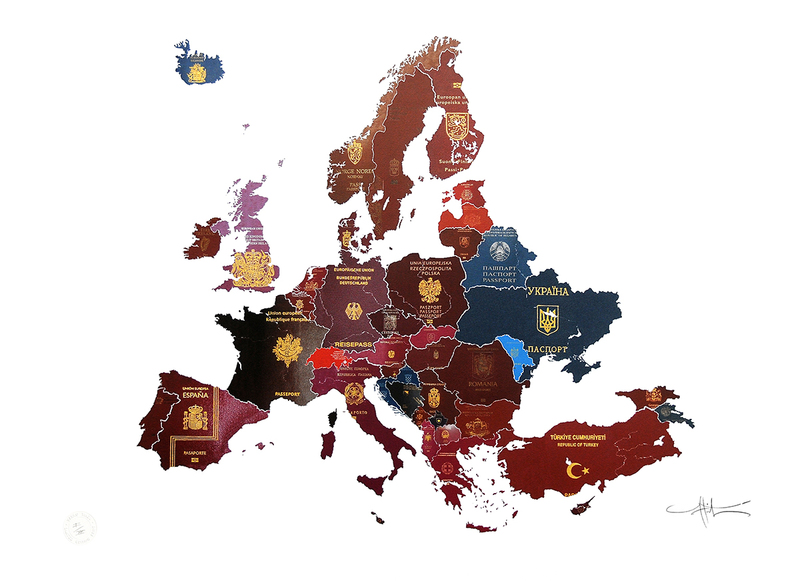 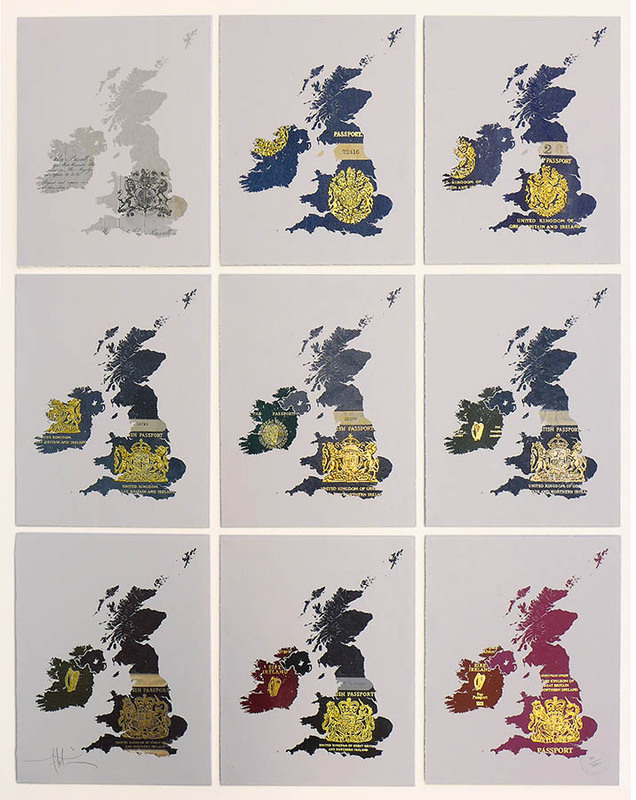 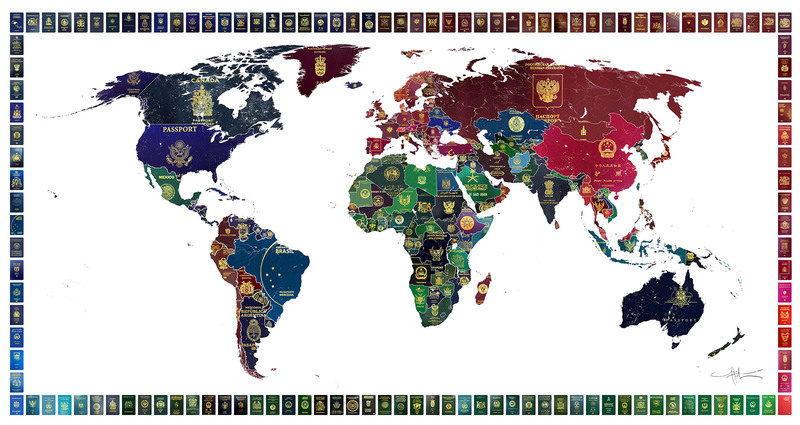 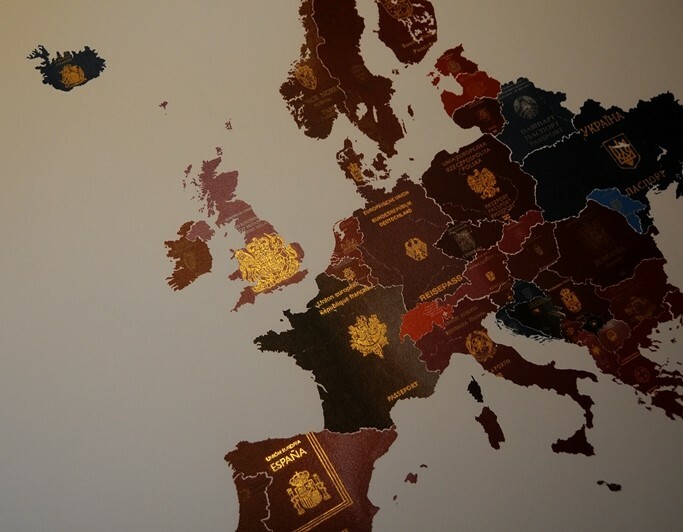 Although originally intended as a visualisation of the various historic passport colours, the work serves as a reminder of the different unions formed and destroyed throughout Europe during the last 100 years; the division and reformation of Germany, the union and separation of Soviet Russia, the creation and collapse of Yugoslavia. 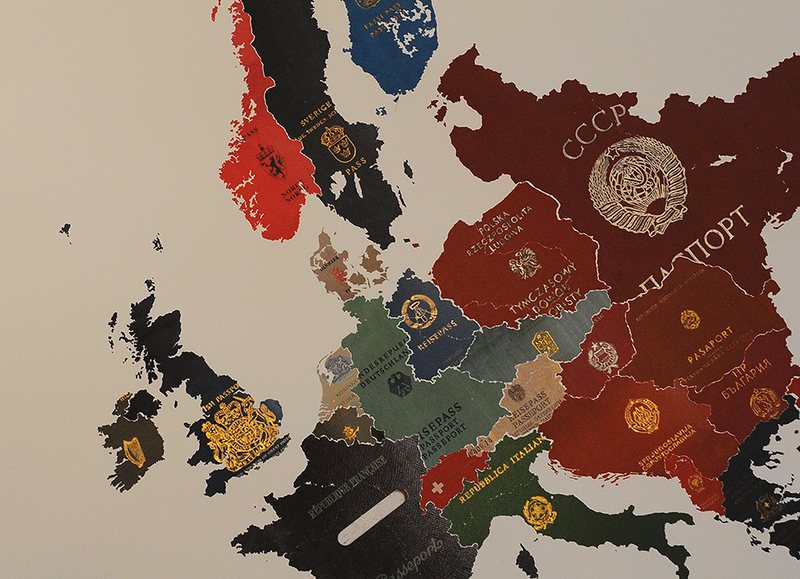 These body of works – and many others in Tihov's oeuvre – illustrate how quickly borders change and move and how people from different cultures can appear and then disappear. 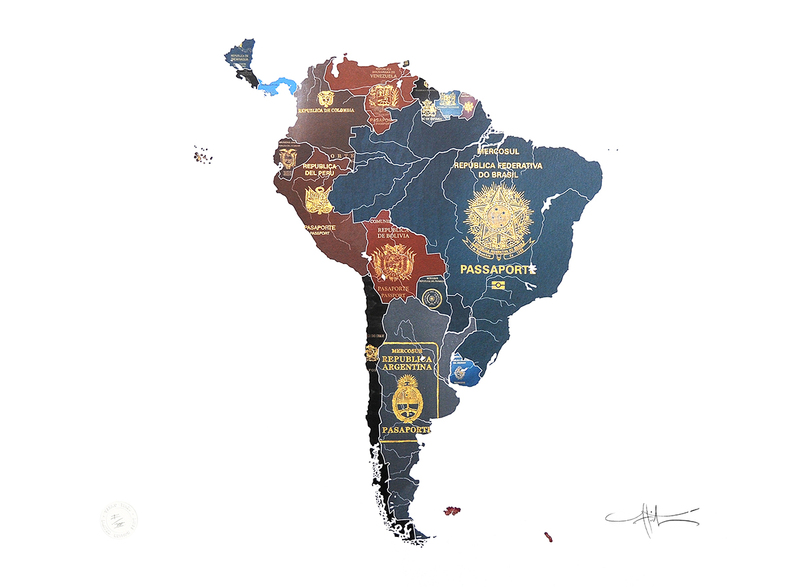 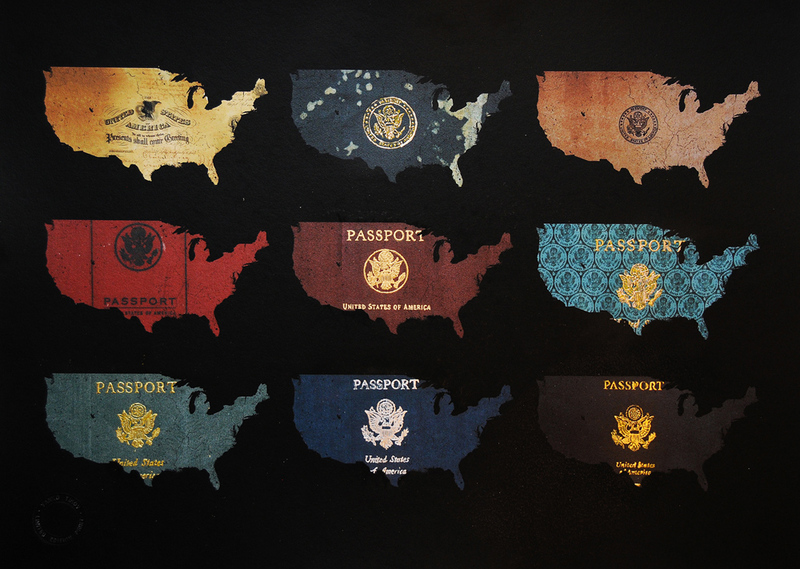 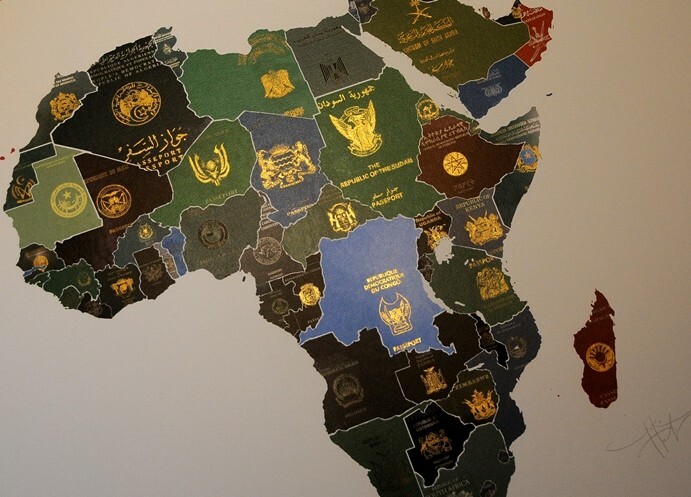 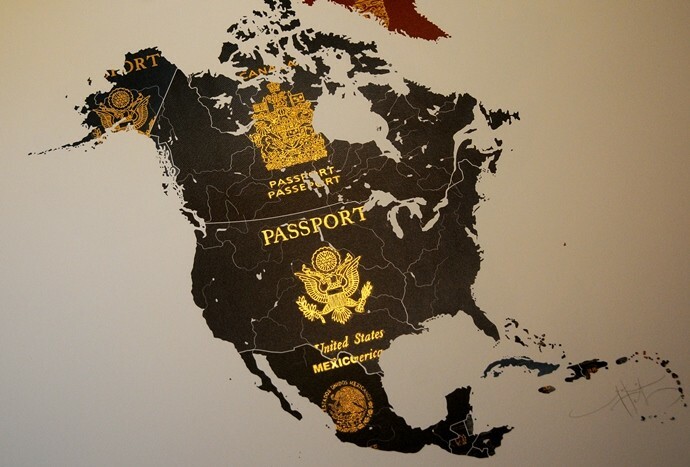 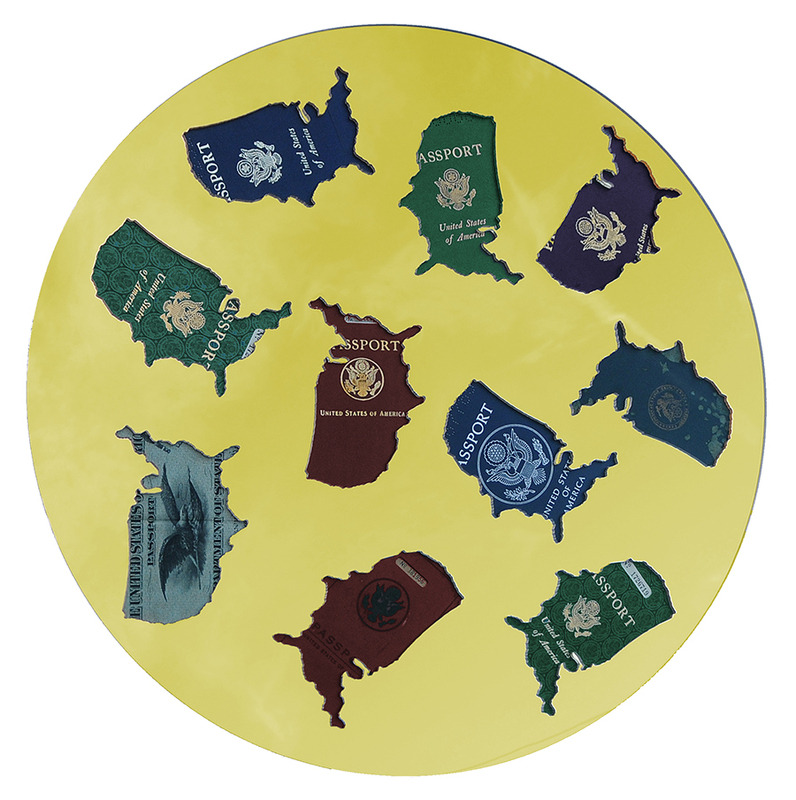 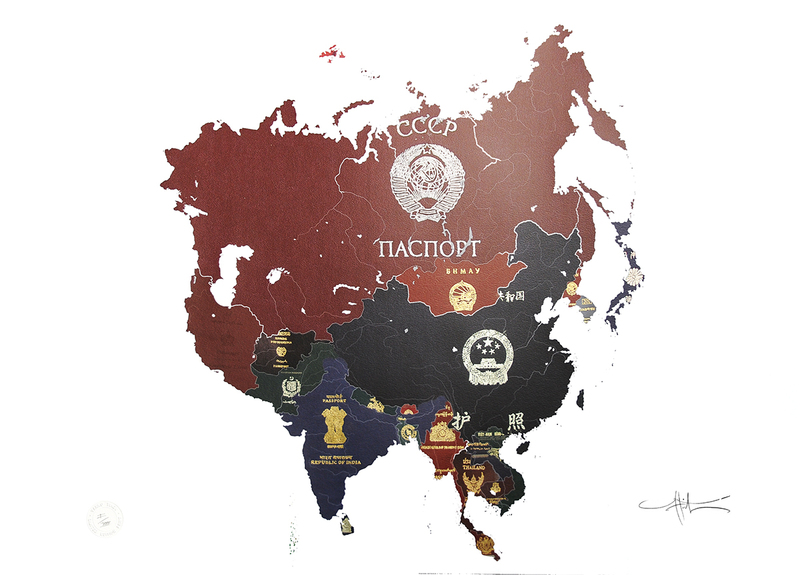 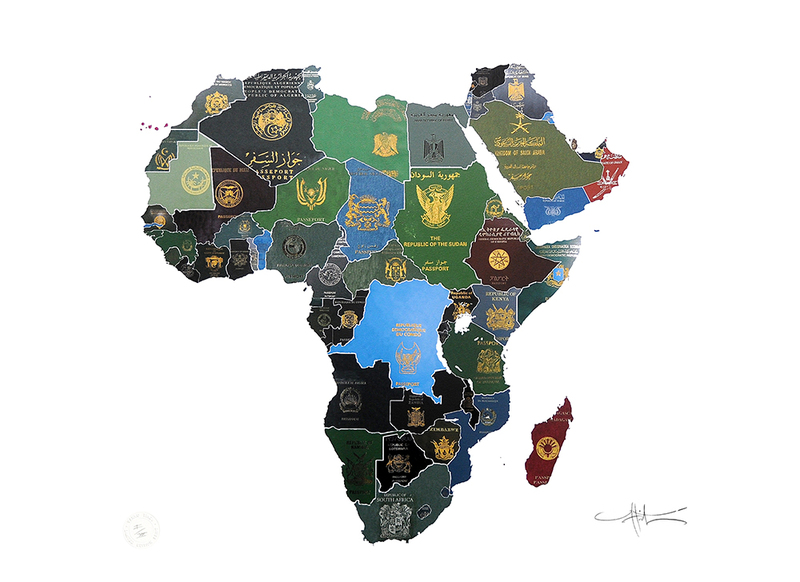 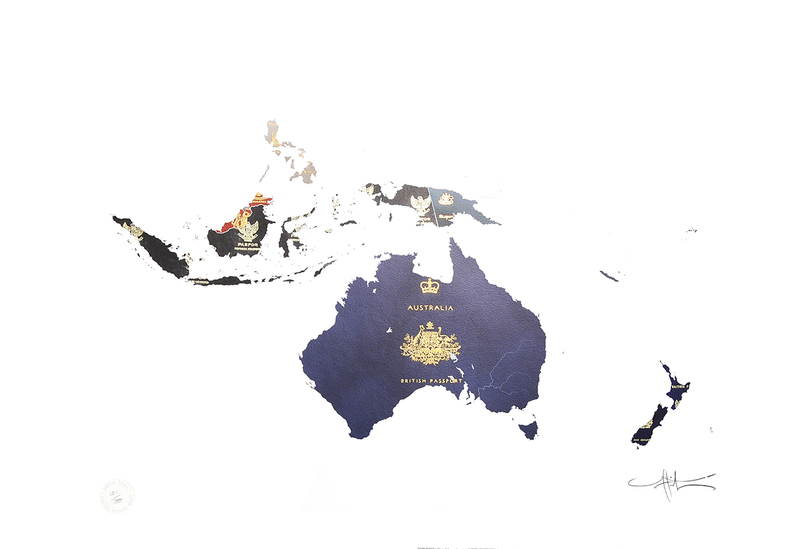 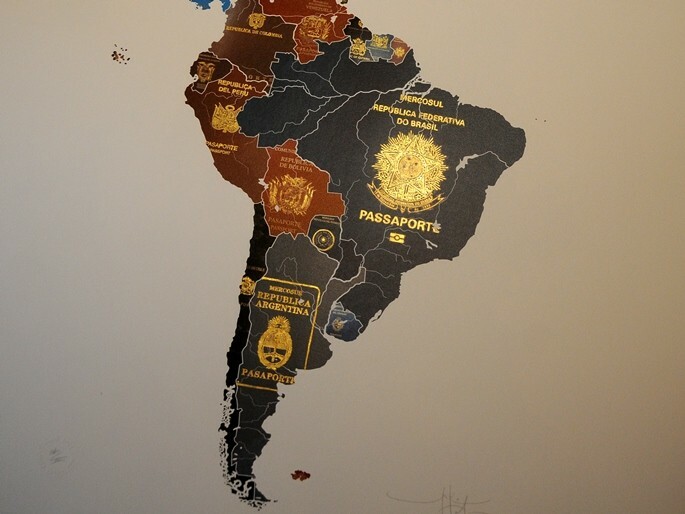 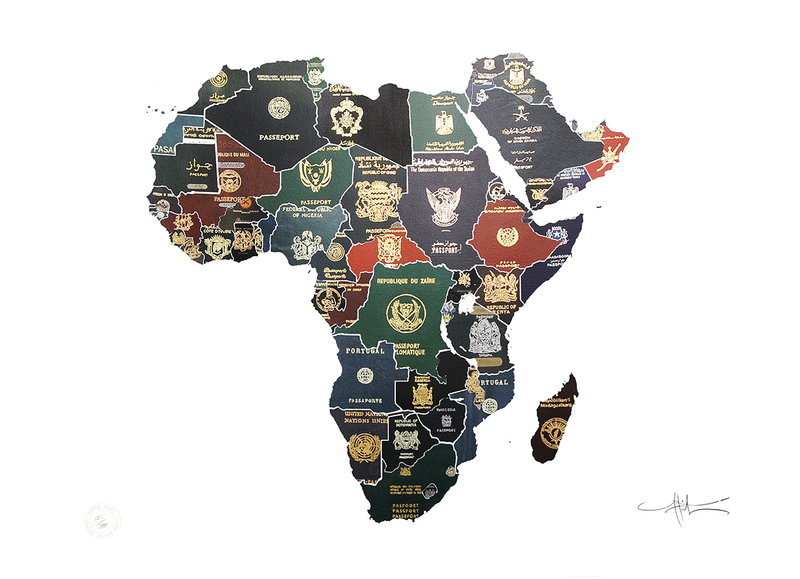 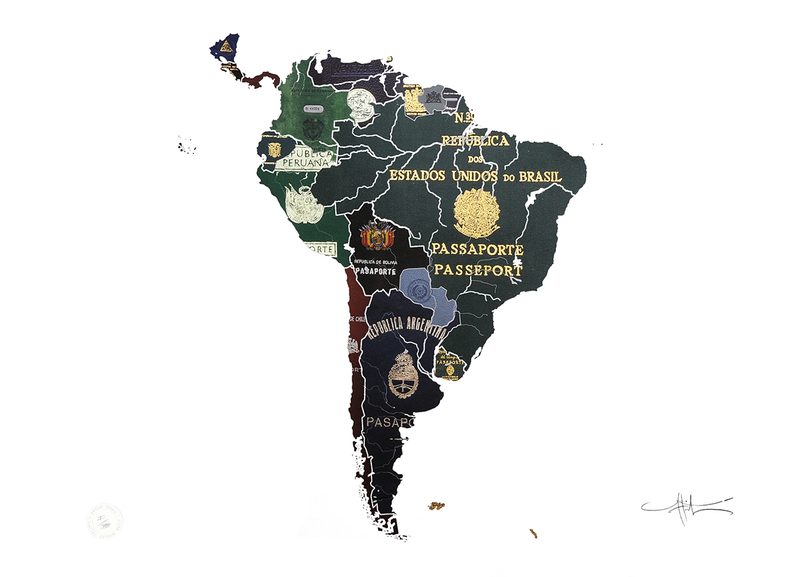 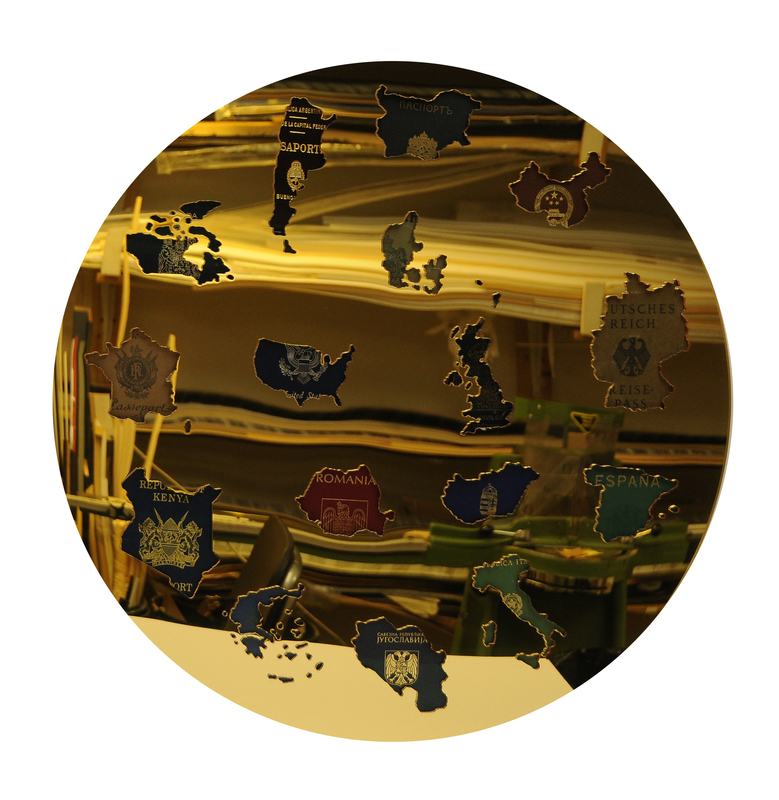 The World Series: Upon completing his first series of passport maps, Africa , South America, North America, Asia, Australasia and Europe, Tihov made a historic series of the 6 continets ,in the same scale, using passport covers from the 1960s . 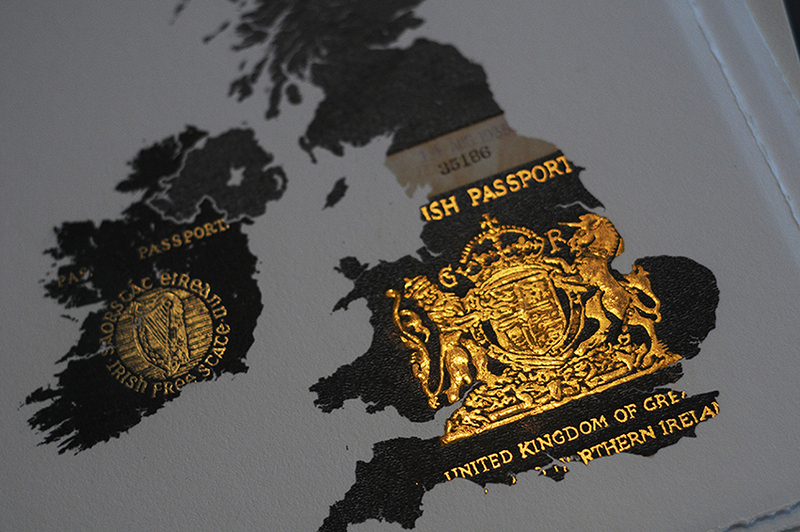 Each piece is hand gilded with shades of genuine gold leaf from 18ct to 24ct. 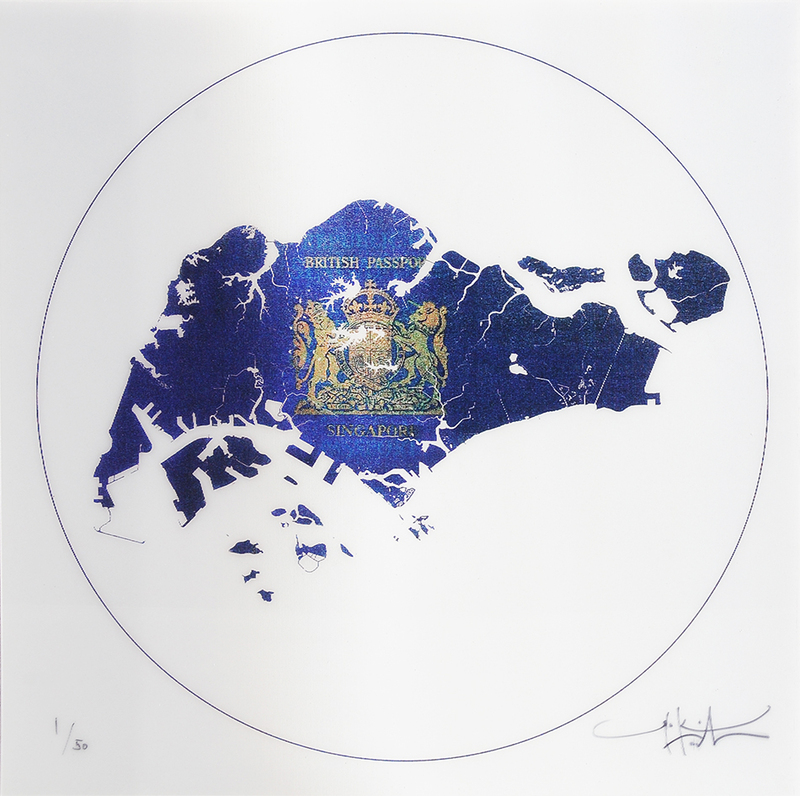 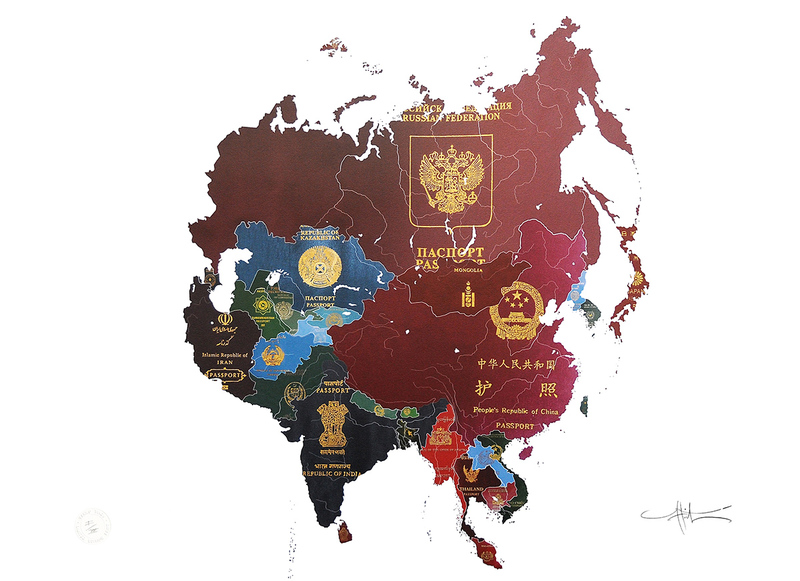 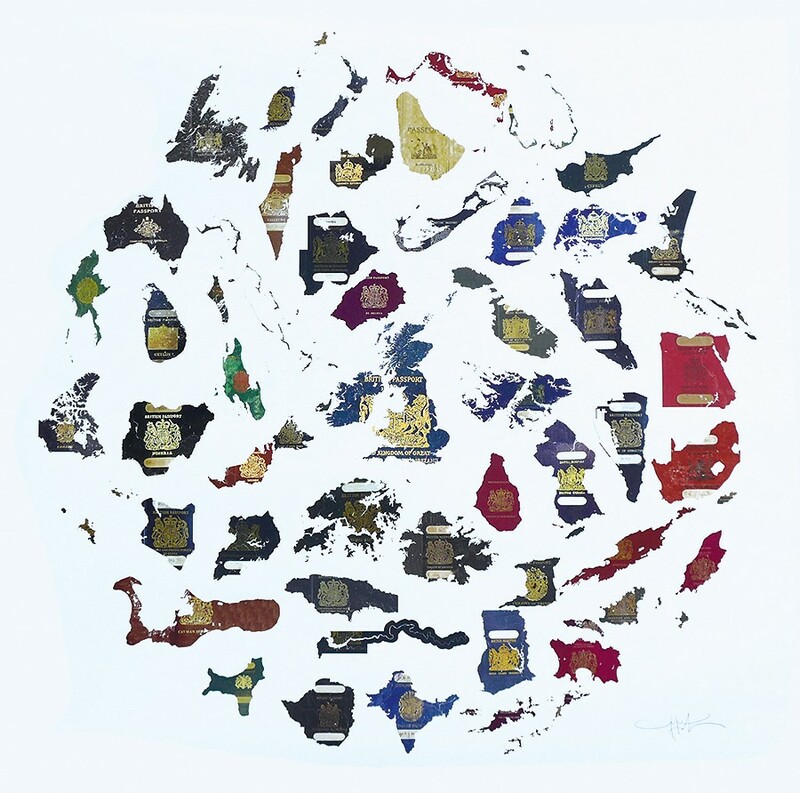 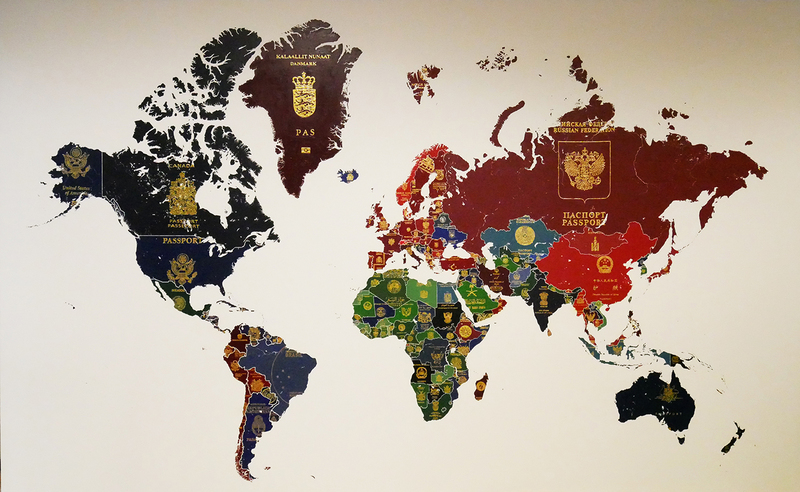 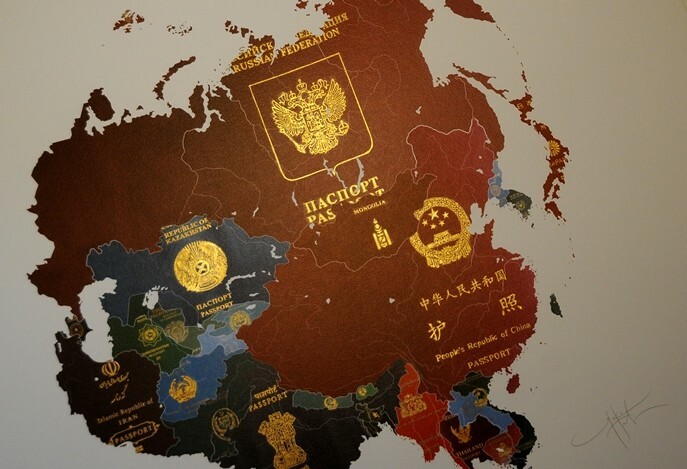 Tihov later made a large scale painting of the world acompanied by a limited edition silscreen of the World Passport Map. 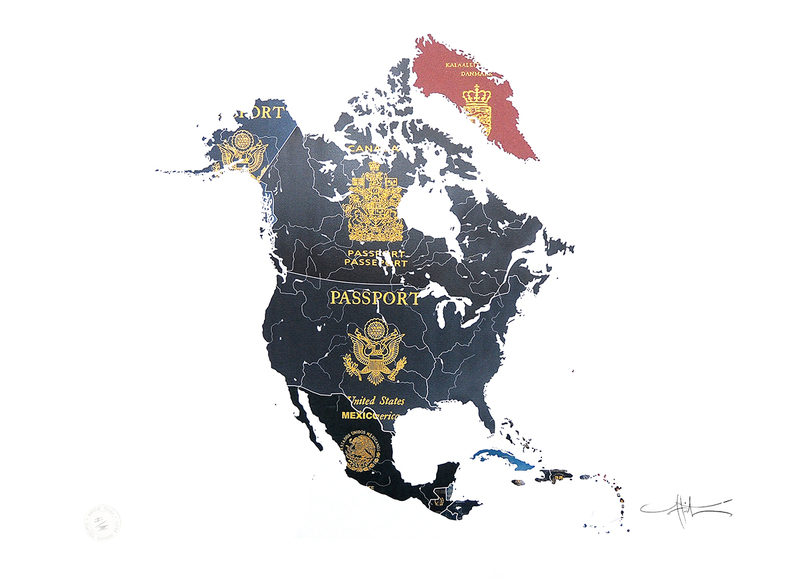 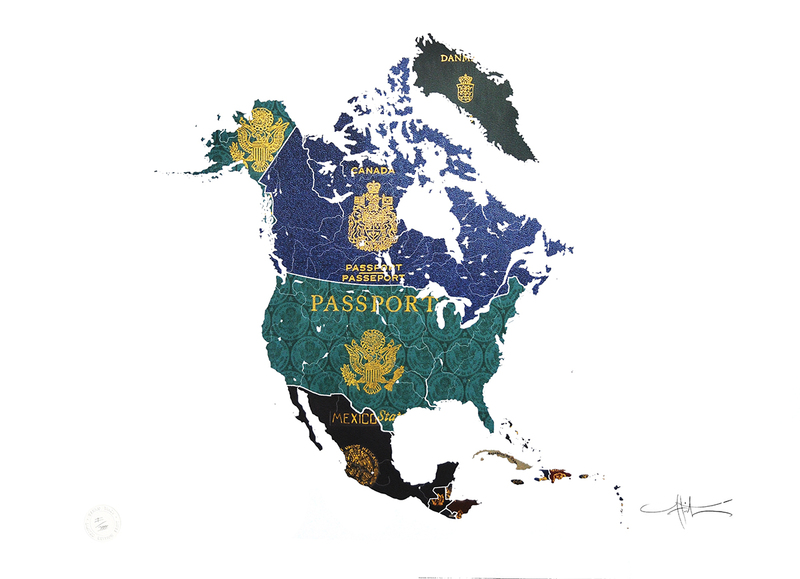 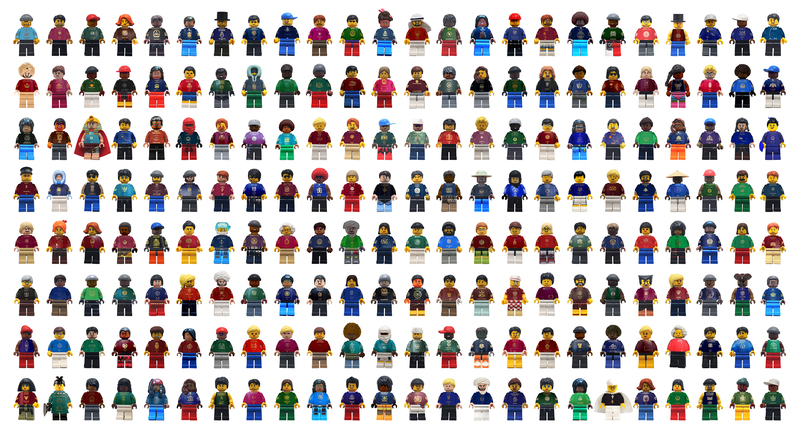 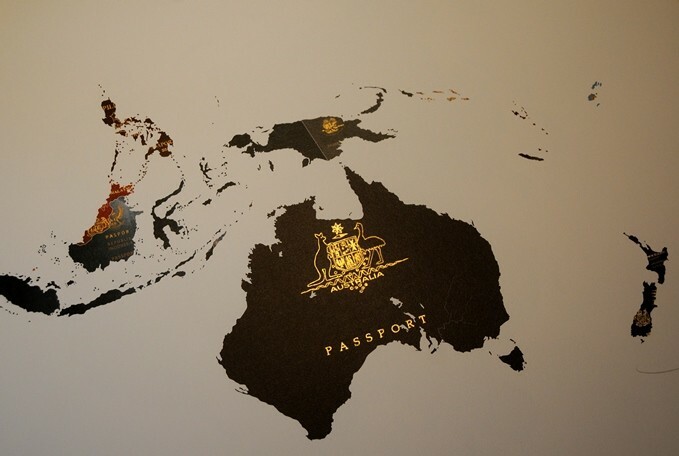 Tihov's interest in identity, belonging and social commentary is locked into most of his work including his more recent series 'Branded World' representing the different countries of the world using Lego characters, with each figure wearing it’s country’s passport cover.